The most populous city in Canada (and the fourth-most populous city in North America after Mexico City, New York City and Los Angeles) and the capital of the province of Ontario, Toronto is a large, multicultural, world city, home to over 2.7 million residents in the city proper. 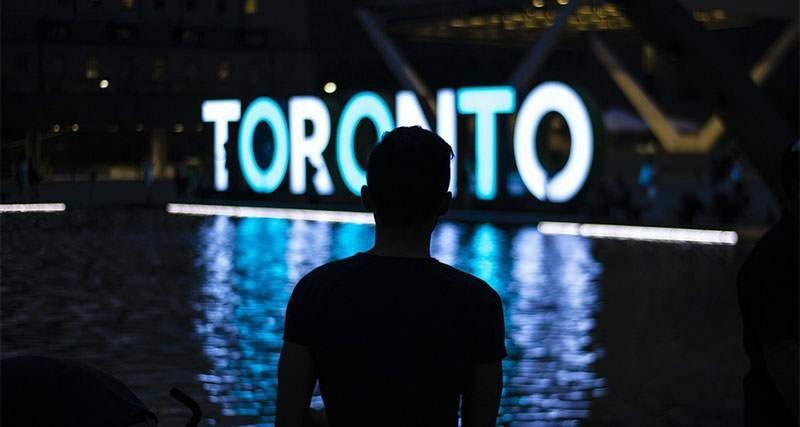 A melting pot of different cultures, ethnicities and traditions, Toronto is one of the most heavily trafficked tourist destinations on the planet, a place with so much to take in that it’s impossible to see it all in a single trip. Among the fun places to visit when touring Toronto are the hundreds of great coffee shops the city boasts, cafes that range from multinational chains to single-shop indie spaces, with a small size and huge character. To illustrate this point, below we have outlined and highlighted several of the best and most oft-visited coffee shops in the city, including a description of each spot’s drink menu, layout, characteristics and amenities. Located almost directly across the street from Trinity Bellwoods Park in the West Queen West part of Toronto, the Sam James Coffee Bar is a true oasis of goodness on the city’s west side. Here the space is small but strikingly designed, boasting a sleek, clean layout with colorful walls adorned with local art work. The Sam James Coffee Bar has several outlets around Toronto, but this particular space is by far the most popular, largely because it is located along a main drag used by commuters. As such, the coffee shop is always hopping during the morning hours, frequented by regular patrons needing their morning jolt of caffeine before heading to the office or job site. The Sam James Coffee Bar has a number of choices on its extensive drink menu, including frothy lattes, wake-me-up espressos, mochas, caramel macchiatos and some of the best pour over coffee in the region. Snacks, such as pastries and sandwiches, are available all day, and craft beer is a popular order towards the afternoon and evening hours. In Toronto, the St. Lawrence Market is a very popular spot for both tourists and residents—an open air market that sells everything from clothing to tools to locally grown produce. The market is also home to one of the best indie coffee shops in the region: the Neo Coffee Bar. Owned by Bruce Ly and Masasgi Nakagome, this trendy coffee shop is famous for its exciting list of lattes, and their Americano has to be tasted to fully appreciate. All their delicious pastries are made on site, ensuring that every bite is as fresh as the last. Also on the menu are decadent white chocolate cookies and dark chocolate truffles that pair well with the café’s sweeter drinks, and the Japanese rolls, crammed with raspberries, black tea and organic red beans give customers a full and unique range of snack choices. Situated at 460 King Street West, inside the recently remodeled and very historic Heritage Building, the café known as Quantum Coffee has everything you need to start your day off right. Boasting a bright and airy space, the shop features an oaken coffee bar with high stools and plush leather seating scattered throughout the space. Free Wi-Fi access is available to all paying customers, making the shop a great place at which to put the final touches on your work or school project. To concoct all the delicious drinks on their extensive coffee menu, Quantum Coffee utilizes an automated state-of-the-art Pour Steady Machine, the only one of its kind in Canada. This machine enables the friendly and competent baristas to offer its customers coffee blends that are expertly calibrated and truly divine. All of their pour over blends, which sell for $4 to $5 a cup, are made from Classic Gourmet Beans, a brand that takes great pride in delivering quality one cup at a time. During the wintertime at Quantum Coffee you simply must try their Crème Brule Cappuccino, a beverage topped with dark chocolate shavings. In making this drink, the baristas artfully caramelize the frothy concoctions with a blow torch, much like they do in French restaurants when preparing the dessert of the same name. Finally, non-coffee drinkers will also enjoy the menu at Quantum Coffee, particularly their blueberry and vanilla teas, as well as their rich hot chocolate that is made from scratch. Odin is a Norse-themed café that was fashioned after Toronto’s Bathurst’s Thor Espresso Bar. Inside, its impressive, colorful layout will make you feel right at home, in a space that was designed by a local decorating studio known as Phaedrus. The long bar, at which regular morning and afternoon guests can consistently be seen perched, is crafted from Baltic birch wood, and its walls are decorated by a mural of Toronto painted by a local artist named Tara Niewiadomski. The coffee selections at Odin are as bold and impressive as its layout and atmosphere. Pour over blends, made from Pilot coffee, are the most popular order here, but the café additionally serves up the standard selection of lattes, espressos, teas and iced beverages, in addition to a full line of craft beer from local microbreweries. Food is also on hand, mostly baked goods, and you simply can’t beat their delicious braised beef empanadas that pair well with a tasty Cortado. The newest coffee shop on our list, the Early Bird Espresso and Brew Bar is located on Toronto’s Queen West just east of the Bathurst neighborhood. Since its opening, customers have flocked to this locale to sample their full list of tasty coffee creations, with selections ranging from Lattes and Espressos to Mochas and Teas. Utilizing a La Marzocco Coffee Machine, all of their drinks are made from the very excellent Pilot brand of beans, and no cup is served until it reaches the peak of its flavor. The medium-sized, Wi-Fi-friendly space at the Early Bird Espresso and Brew Bar is able to accommodate roughly 50 people inside the shop at any given time; however, there is also a large outdoor patio area with seating amid the establishment’s colorful flower garden.